The design principal behind Fire Pig was a focus on getting the tube from the ground to the peg with as little effort as possible while keeping the orientation of the tube parallel to the floor. This led to the 4-bar linkage arm design. Because the claw is supported at the top and bottom it remains in the same orientation no matter where it is in its path of motion. 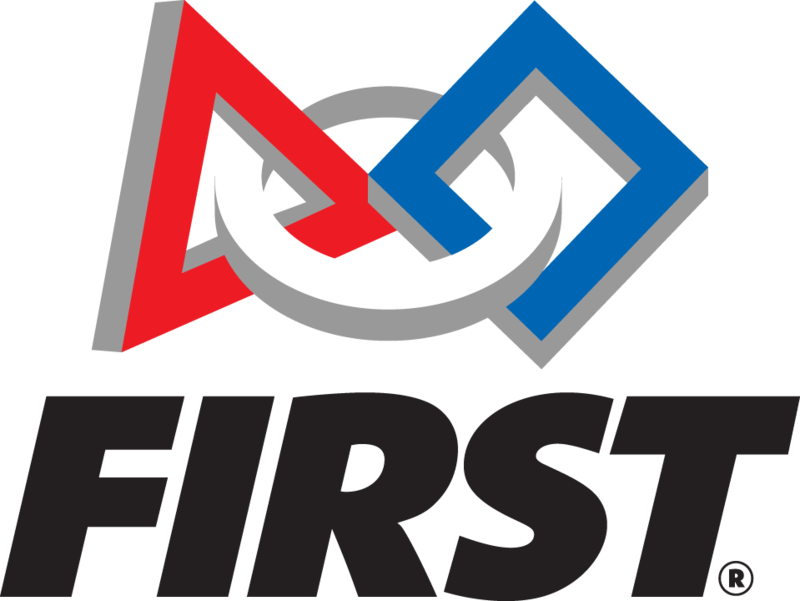 This arm, and another very consistent autonomous mode, allowed this robot to become a Regional Finalist, a GM Industrial Engineering award winner, and a Championship Division Winner. 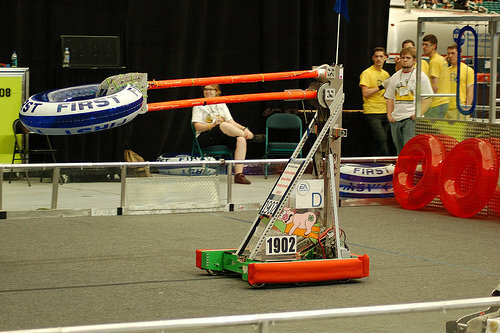 This remains the only Exploding Bacon robot to play on the Einstein Championship field in the competition’s “Final Four”. Video of Fire Pig in action can be found here. 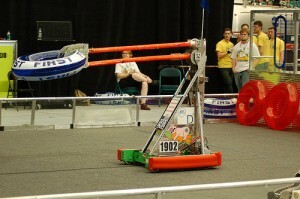 This video was to demonstrate the Autonomous mode at the beginning of each match. In the video Fire Pig is turning independently, without any driver input…he was driving himself.